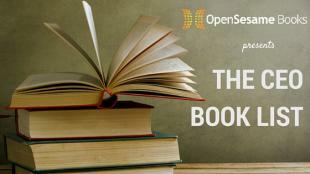 OpenSesame is very excited to be offering ebooks with OpenSesame Books. Now, businesses have access to 40,000 ebooks and elearning courses with OpenSesame. With over 150 publishers and 20,000 books, it can be a daunting task to find the right book for your employees. With companies like Facebook starting book clubs and stressing the importance of continued learning, more companies are utilizing book clubs to keep employees engaged in the modern workplace. Whether your company is interested in New York Times Best Selling Books or reading refresher chapters on specific business topics, OpenSesame Books offers a wide array of online books ranging from articles, reports, and journals. To learn more about OpenSesame Books, check out the new webpage!